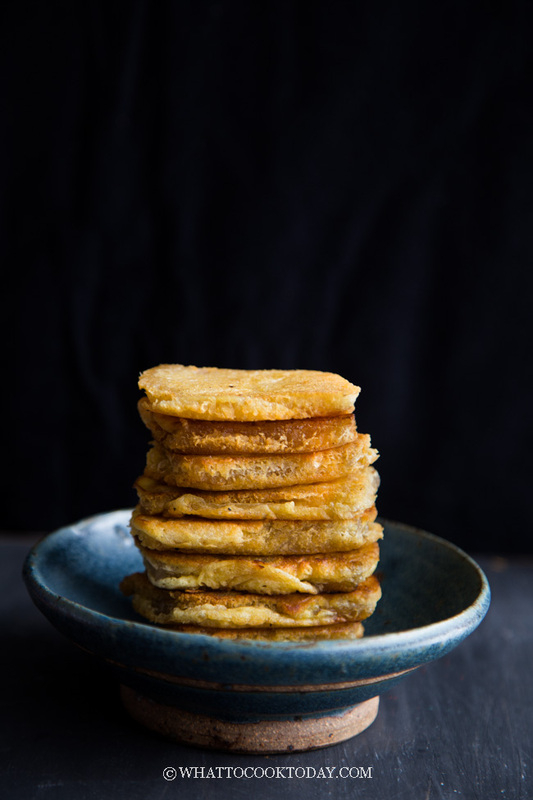 Soft and chewy nian gao (sticky rice cake) is coated with a light and airy egg batter and pan-fried to perfection. 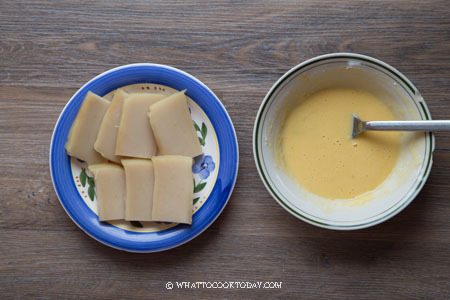 A great way to use leftover nian gao from Chinese New Year. Most people who celebrate Chinese New Year will have leftover nian gao and wondering what they can do with the leftover nian gao. 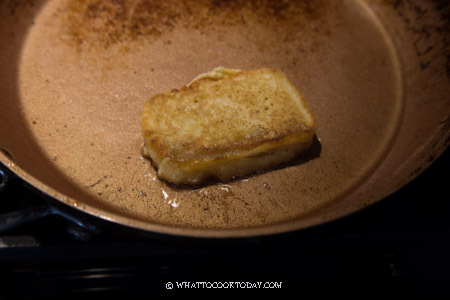 This pan-fried nian gao with egg is an easy recipe that my family loves. Light and airy thin batter coating the outside of nian gao, while soft, chewy and stretchy nian gao on the inside. 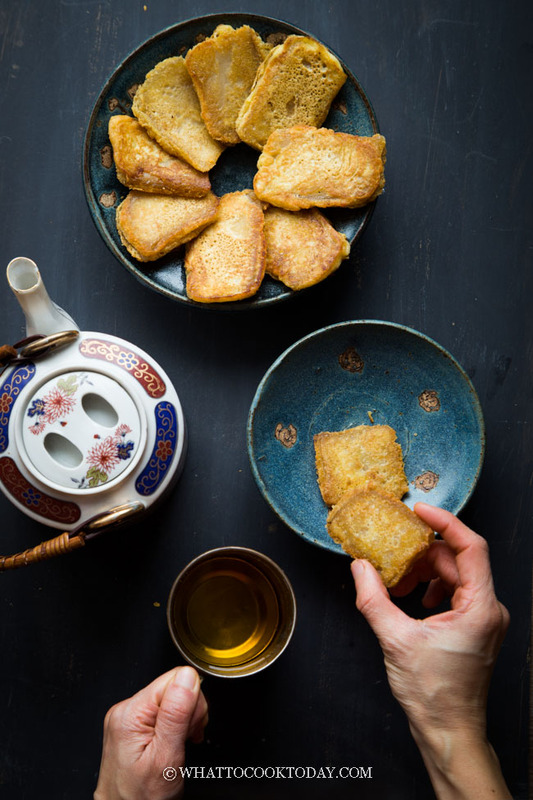 I had this fried nian gao with egg recipe in my how to make Nian Gao post, but I think it deserves a post of its own 😉 This is one of my favorite ways of using up nian gao I made for Chinese New Year. It’s super easy and you pretty much have all the ingredients in your pantry already. 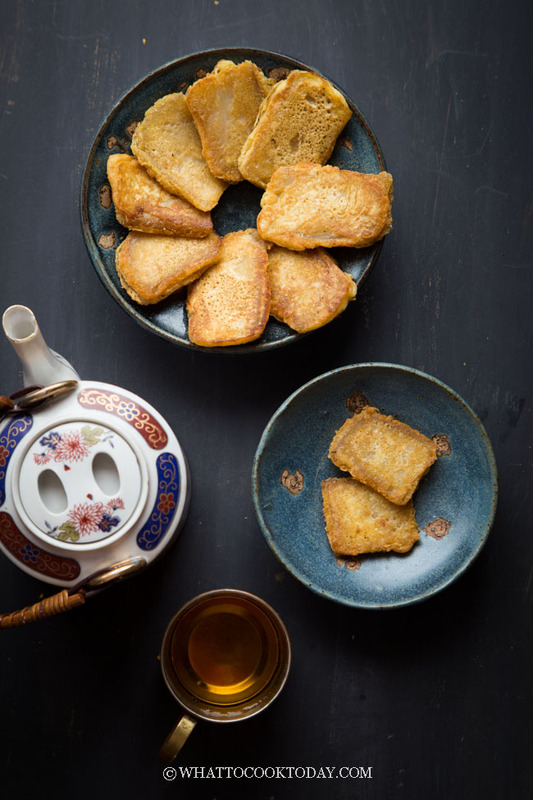 -It is best to use nian gao that has been refrigerated, though its possible to use freshly made nian gao too, it’s just more difficult to slice because it’s soft and sticky. It is important to control the heat so the batter won’t get burn while the nian gao on the inside isn’t soft and chewy just yet. 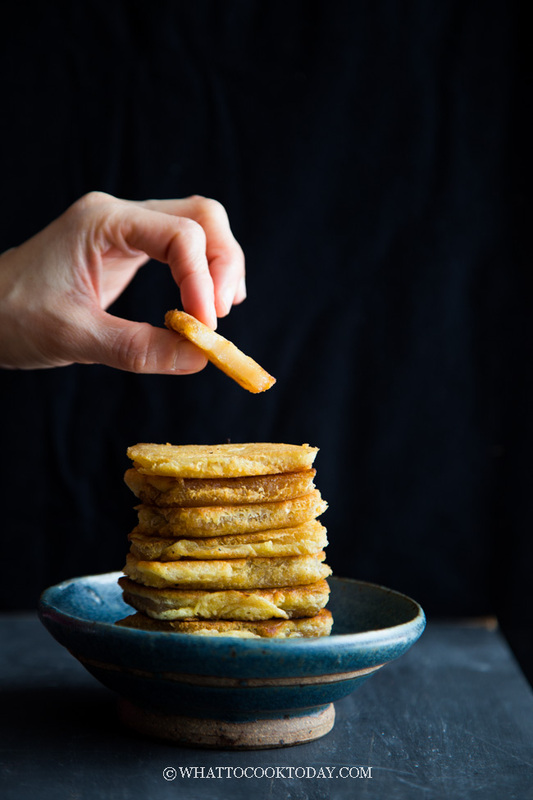 If you prefer to use eggless batter, use this crispy batter that stays crispy recipe that I posted a while ago. It works pretty well too. 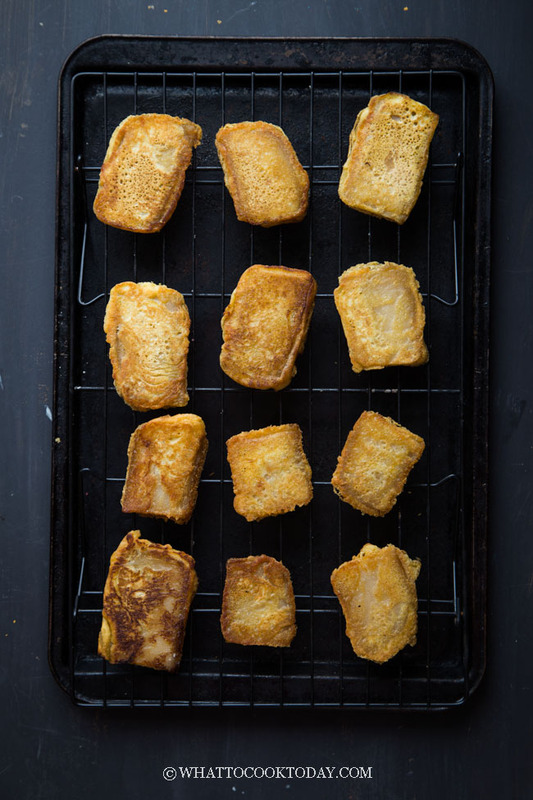 Pan-fried nian gao with egg is usually serve as a “snack”. It is usually served immediately after pan-frying as is, without any dipping sauce, not that you need any. Perfect to go with that afternoon tea. 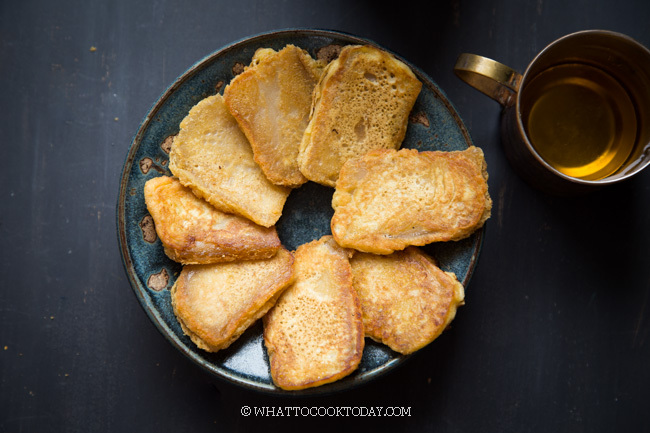 Soft and chewy nian gao (sticky rice cake) is coated with light and airy egg batter and pan-fried to perfection. 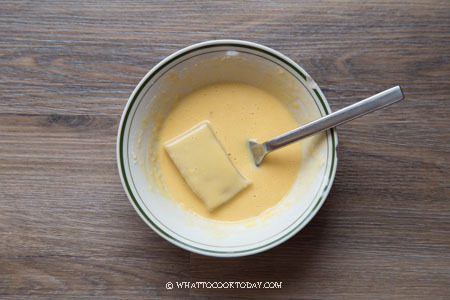 A great way to use leftover nian gao from Chinese New Year. 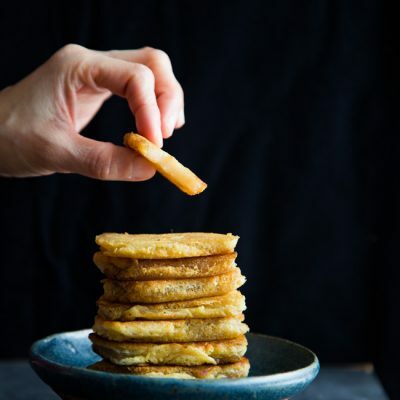 If you have leftover, they can be stored in the refrigerator for up to 3 days.For longer storage like in the freezer, simply arrange the fried nian gao on a baking sheet lined with parchment paper, not touching each other and freezer for one hour and then transfer to freezer bag.